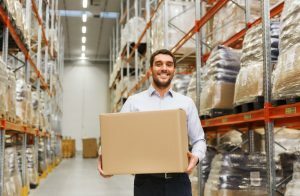 Kitting services can provide many benefits to manufacturing companies looking to streamline their warehousing processes. By outsourcing to a third-party logistics (3PL) company, you will be able to see these many benefits. Kitting services work hand in hand with storage, production, packaging, and delivery, but before outlining the advantages, here’s what you need to know about kitting services. What Are Warehouse Kitting Services? Kitting services are typically performed by a 3PL company and are the acts of compiling the individual parts of a product together into a kit and delivering that kit to the production operation team for assembly. Companies that provide 3PL services have the knowledge and experience necessary to ensure accuracy in inventory and order pulling for warehouse and inventory management among other important aspects of the supply chain. Instead of allowing manufacturers to compile their own parts, which is time-consuming and unproductive, 3PL services can manage these tedious tasks in a way that prevents errors, lost or misplaced parts, and general disarray due to volume. Kitting services eliminate this wasted time and disorganization to streamline the entire system. Searching for parts or preassembly work is no longer necessary as this job is managed by the outsourced company. This leads to an operation that runs smoothly, cleaner, and faster. To break it down, here are the major roles of warehousing kitting services. Space in the facility is saved thanks to the 3PL company, which manages and stores the manufacturer’s parts. When parts are needed, the 3PL provider pulls them from inventory and organizes them into kits. The 3PL service packages the final products in a customized way and delivers them to their end destinations. Kitting services provide companies with many benefits such as a reduced number of purchase orders, reduced administration costs, better utilization of space, faster production cycles, faster response to customer orders, and more. The following items are additional benefits to companies. An advantage of using kitting services is that items are processed in bulk instead of individually when each order arrives. For companies that manage their own order fulfillment, outsourcing this process will benefit them greatly, save them money, and streamline this process. Items that are shipped in a kit form have a reduced likelihood of error within the order fulfillment process. It also allows companies to pre-print shipping labels, which eliminates the need to weigh and label individual items. You can save at the post office by using kitting services as it provides more efficient and cost-effective packaging. For example, instead of packing individual parts into a standard-sized box, use a custom box for popular kits to reduce the size and weight of the packages. If you’re looking for kitting services in Frederick, MD, Cannon Hill Logistics can help you. We provide flexible warehouse solutions, fulfillment operations, inventory management, and other third-party logistics roles. For over 30 years, we have worked hard to make sure our customers are getting the most out of their operations and that their processes are streamlined and effective. If you need advice about which inventory management solution is best for you or if you want to work with us, please contact us at 1-(800) 822-4747.